Thomas Hobbes is a towering figure in the history of modern thought and political philosophy. 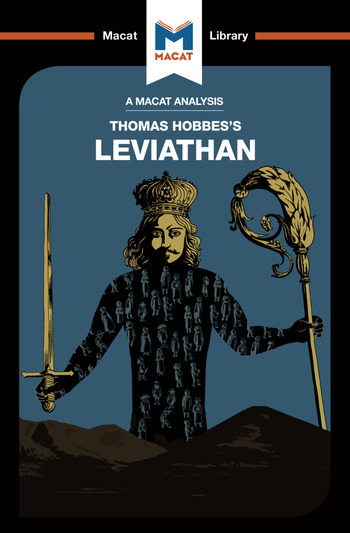 He remains best remembered for his 1651 treatise on government, Leviathan, a work that shows at the very best the reasoning skills of a deeply original and creative thinker. Creative thinking is all about taking a novel approach to questions and problems – showing them in a new light. When Hobbes was writing Leviathan, the standard approach to understanding (and advocating for) monarchical government was to argue, using Christian theology, that kings and queens gained their power and legitimacy from God. At a time of intense political turmoil in England – with civil war raging from 1642-51 – Hobbes took the original step of basing a political theory upon reason alone, and focusing on human nature. His closely-reasoned arguments made the book a controversial best-seller across Europe at the time of its publication, and it has remained a cornerstone of political theory ever since. Though Hobbes argued for government by an absolute monarch, many of his ideas and precepts helped form modern liberal ideas of government, influencing, among others, the American Constitution. Dr Jeremy Kleidosty received his PhD in International Relations from the University of St Andrews. He is currently a postdoctoral fellow at the University of Jväskylä, and is the author of The Concert of Civilizations: The Common Roots of Western and Islamic Constitutionalism.